I cut a size 8 but it ended up being a bit tight around the arms, so I decreased the seam allowance to give them some more room. I’m quite pleased with how even the colour blocking is. As I haven’t done this sort of thing before, I was certain I would end up with a very mismatched jacket, but I think the result is pretty good. The real reason for this jacket was that I wanted something to match the green Francoise, as it is sleeveless and I’m constantly cold. They do work very well together and the cream breaks the green monotony in a pleasant way. My face is a bit silly, looking at something up there but hey ho! How about you, have you given new life to any lonely scraps of fabric lately? 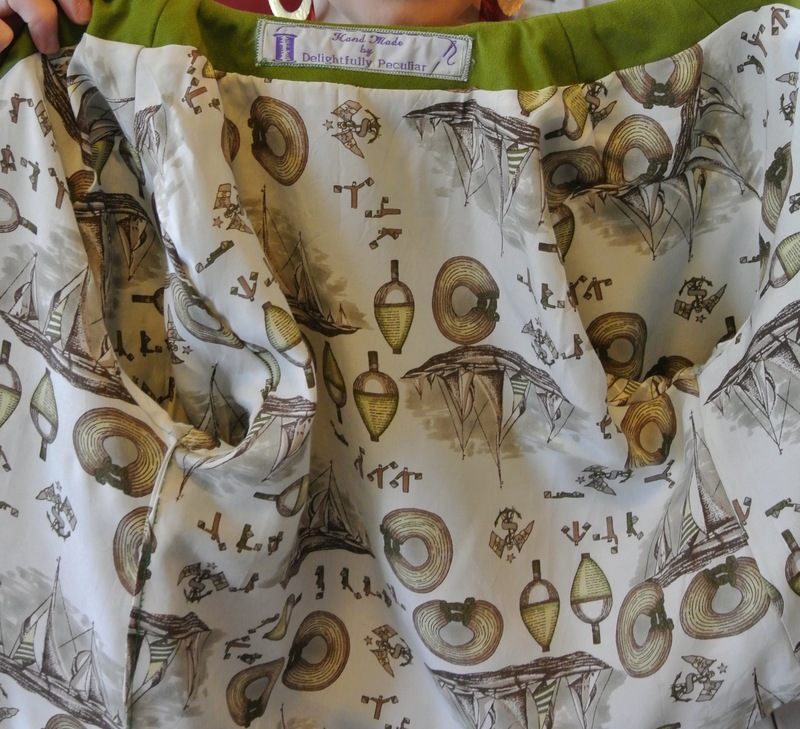 This entry was posted in sewing and tagged colour-blocking, handmade, love sewing magazine, scraps, sewing. Bookmark the permalink. Oh you are so sweet, thank you! I think we both have colour & personal style in common haha, and I like your style too, the button up dresses are always so impressive! Thank you! I seriously think it’s the perfect jacket to start with, plus it would fit really well in your stylish wardrobe! Wow. Totally stunning. Well done. Thank you! I like it how a very simple project can turn into something more special just by changing it a bit! How posh, with the lining as well. And I love the jewel-y beads on your dress! Great idea to colour block it. Something I’ve never done! Well thank you! I’ve been through a colour blocking inspirational pinning on Pinterest and that was the result! Now I want to do more! It’s quite fun! 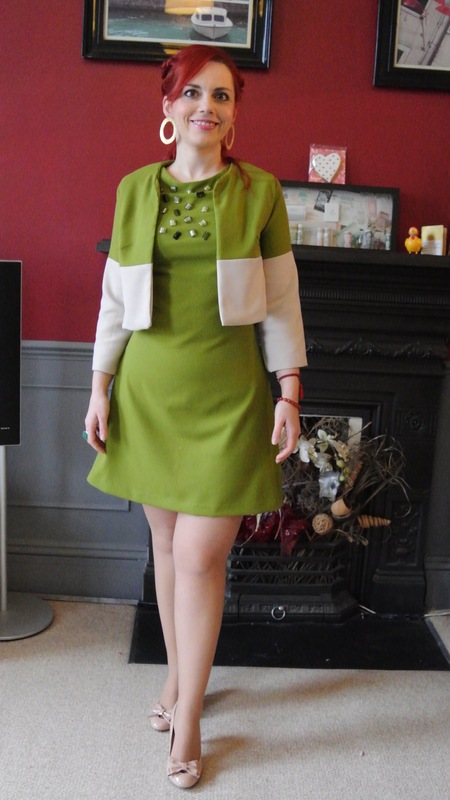 I just love sixties style jacket and dress ensembles and you’ve only done one in my favourite colour! Love it!!! Oh glad to hear you like the colour and the style! I like 60s style too, lovely shapes! This is an amazing outfit! I loved your françoise on it’s own but it’s really something else with the jacket! 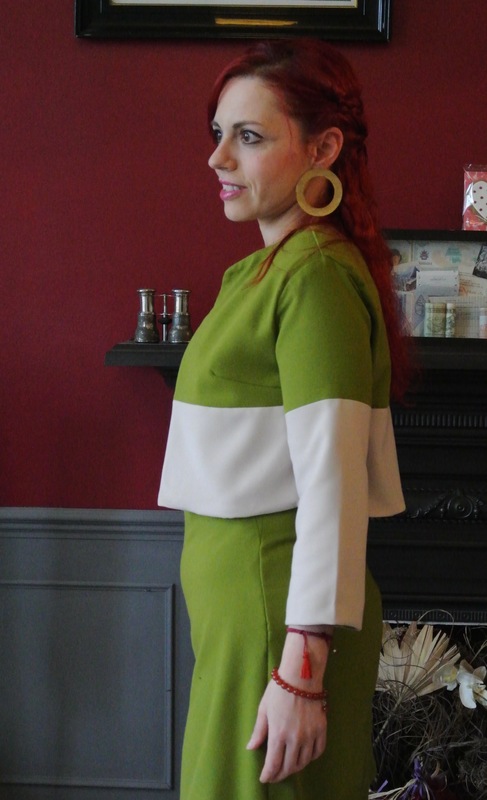 I’ve only worn my françoise twice but if I had a coloured blocked jacket…….. Just so happens I have a bit of my leopardy fabric left!! Ohhh I look forward to seeing your matching jacket ;)! If I were forced to make only one garment that would be jackets, can’t get enough haha! Thank you, you’re very nice 🙂 they’re good pieces together and separately I think, very pleased with the jacket as it was a bit more than cutting and sewing the pattern! I save my larger scrap pieces all the time, just hoping I can make something as clever and as lovely as this! Maybe some day! Just Beautiful! Well thank you! It’s all on the “list”!! 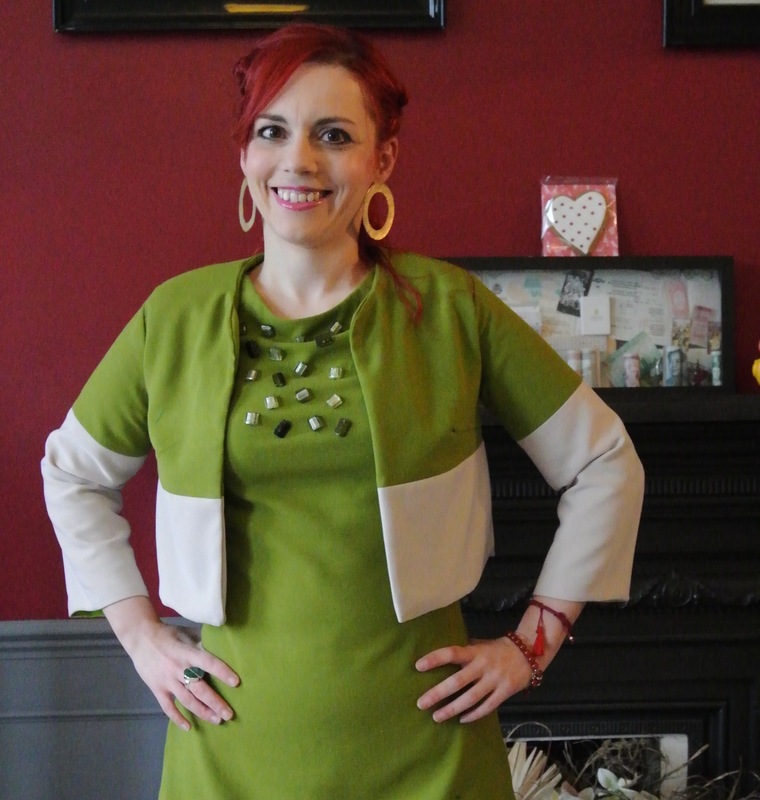 Love the colours you have used for your colour blocked jacket – it looks great with the dress. I have shoe envy too! Thank you, the shoes were Dorothy Perkins so nothing very expensive, but they are stylish and not too high to be uncomfortable. I love this! What a great set 🙂 I have some wool fabric that consist of smaller pieces. When fall comes, I am determined to trying to make them into something. Jackets are great for that 🙂 Love your blog, too! Thank you! I agree, jackets are great for that sort of thing with their well structured pieces, I keep going through my scraps to see what else I can colour block haha. I think a woolen colour blocked jacket would be perfect for fall, I look forward to seeing it (not to fall so much).